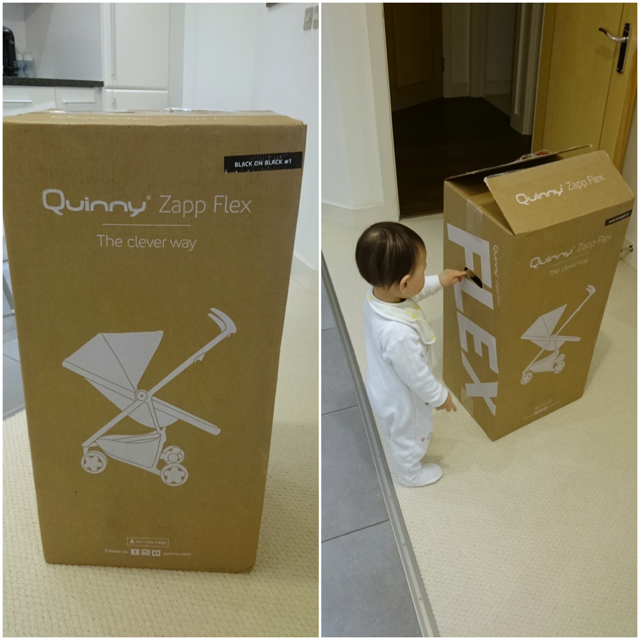 We have been using the Quinny Zapp Flex Pushchair for almost 3 months now so I thought it would be a good time to do a review and share with you all my thoughts! 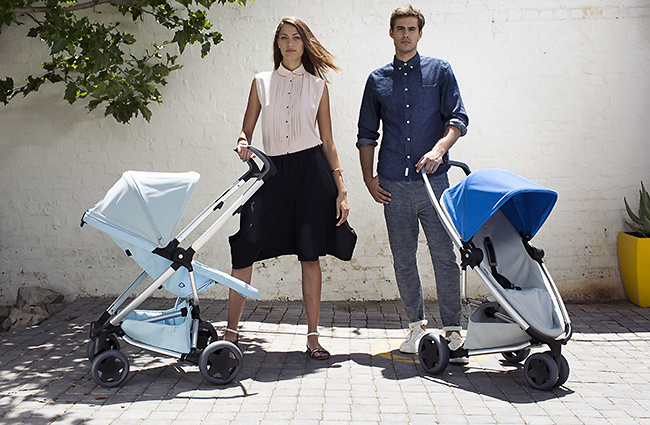 The *Quinny Zapp Flex was released in UK back in May 2017, it's modern, sleek and versatile which is perfect for us in the city or for parents who are constantly "on the go". This particular version is suitable from 6 months to around 3.5 years (15kg) or birth when you combine it with either the Quinny from birth cocoon, Quinny lux carrycot or a colour co ordinating maxi cost peddle plus car seat. The seat unit can face both ways AND reclines fully in both directions. It also comes with 4 large puncture proof swivel wheels. The seat is made using water resistant fabrics so you can easily wipe away any spills. Extendable sun canopy with UV 50+ protection. Fits in the car boot easily with plenty of space left. Little one's favourite sleeping position where it's fully reclined for naps. Little ones favourite position facing forward and sat up right so she can see everything ahead. Folds up small as shown in the photos in an easy 3 step process. Does not take up a lot of space at all in the car boot. Light weight compared to my old iCandy Strawberry 2 which I have since sold on. The seat fully reclines so when they fall asleep they can be flat sleeping position making it more comfy. Very easy to clean as mentioned above it's water resistant fabric. If we are out and about and she doesn't want to leave then tempt her to go back in the push chair with some snacks. Kids being kids they are not the tidiest of eaters so if it gets dirty you can wipe it clean easily. She certainly feels more comfy in it when it's positioned facing outwards and the back straight so she can see everything. With out old buggy the seat is not upright so she can't see everything fully so she's not happy being in the buggy for too long which can be a pain when we are out and about. It comes it a huge variety of colours however we picked black as the colour as it's neutral if we decide to have another baby. Being in an apartment we don't have a lot of space and the wheels click on and off which makes storage a lot easier and space saving. Small basket for your shopping at the bottom but I guess that is to be expected if it folds up small. You can buy the additional shopping bag to clip onto the handles for extra storage but personally for me I prefer to keep the pushchair simple. 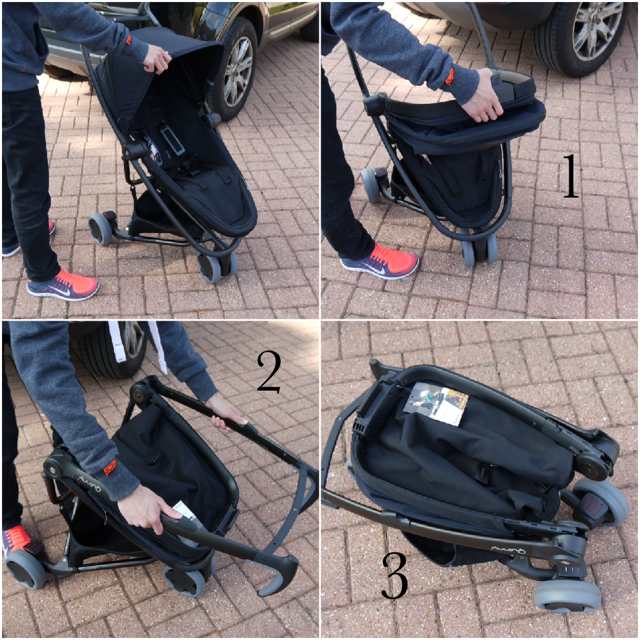 At first the pushchair is stiff to close up because it's new so it does take a good 2-3 weeks of use to soften everything up so it closes easily. We also took it away with us on our cruise holiday last month to Norway where it really got tested on the bumpy gravel roads and it past the bump test as the little one slept through it. Overall we really like this push chair and wished we actually purchased this from birth. Since using this we have decided to sell our old push chair as the little one prefers this one a lot lot more. It is expensive however for something which you use daily it needs to be comfortable for you and the little one and practical and this ticks all the boxes.